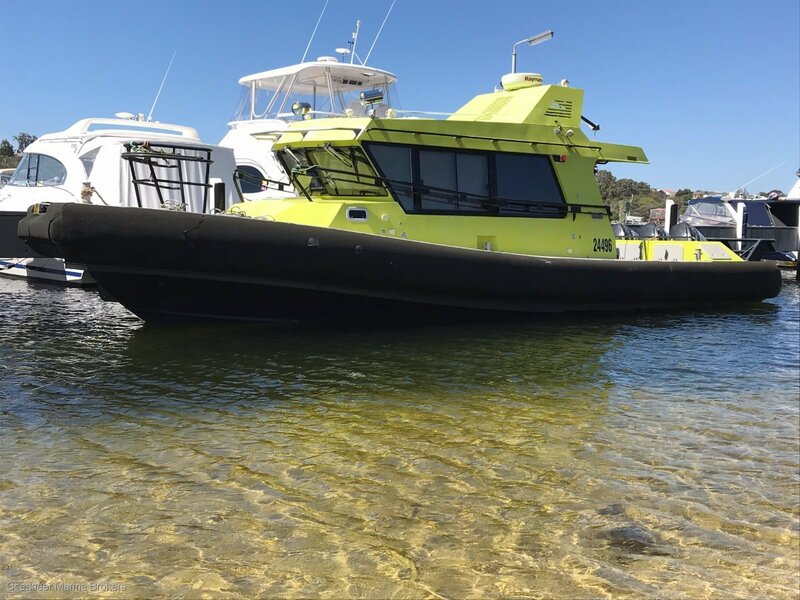 12m Naiad Design, Woody Marine built, high performance workboat. Amazing open water performer generated by raised pontoons up forward and fine entry bow. Powered by 3 x 300HP Suzuki 4 stroke outboards this vessel cruises at 30 knots with ease. Current NSCV 2C Survey. Raymarine electronics package with displays for co-pilot also. For full inventory and more details contact Oceaneer Marine.